Lead generation is a primary goal of every inbound marketing program and that journey begins at the top of funnel. 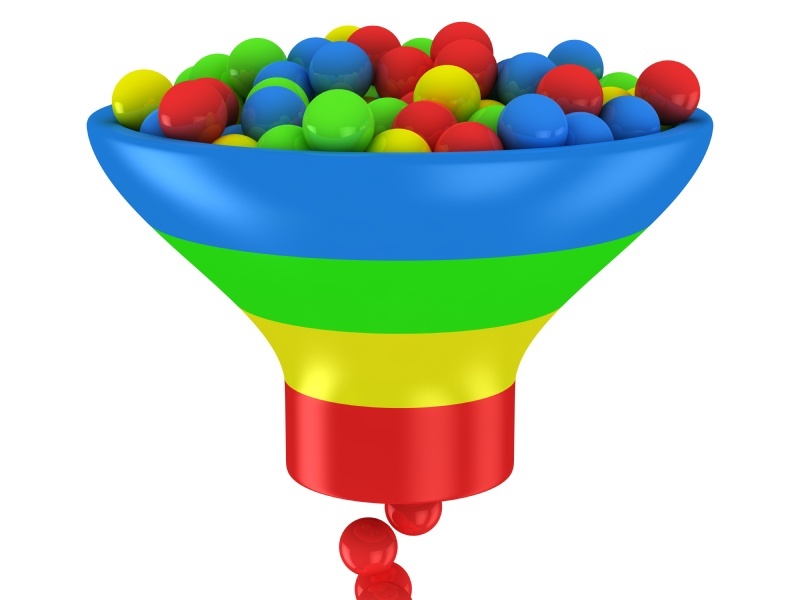 If the top of the funnel isn’t healthy, then chances are the middle and bottom will suffer. The top of the funnel or the attraction stage of the inbound methodology is an important step in the buyer’s journey for your prospects. And like many other things associated with inbound marketing, it all begins with buyer personas. The first step in attracting prospects to the top of your funnel is clearly defining your buyer personas. We talk a lot about personas in this blog so I’ll spare you the details today. (You can get all of the details on creating buyer personas here.) A clear understanding of who you are trying to attract will help you do just that…attract them! It’s not enough to just create this content. It is important that you make it easy for your prospects to engage with it. Here are two ways. The key is to provide enough information so the prospect knows exactly what they are going to get. If they like it, hopefully they’ll keep coming back for more. 2. Social media – Social media can be a great way to attract your prospects. Twitter and LinkedIn are popular social networks with small to mid-size B2Bs. Your buyer personas will tell you which networks you should try. Blog posts, premium content and even trade show and conference news should all be promoted through social media. It is important that you interact with your audience to attract even more followers. Having a strong keyword strategy that includes long-tail keywords will attract the visitors to your site who are interested in the content you’ve created. For those who are not familiar with long-tail keywords, here’s HubSpot's less-than-100-word definition. A long-tail keyword is a keyword phrase that contains at least three words (though some say two or more is considered long-tail). 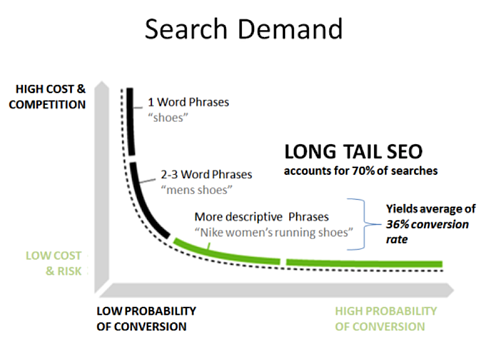 Long-tail keywords are used to target niche demographics rather than mass audiences. In other words, they're more specific and often less competitive than generic keyword terms. Because of that, they provide both short-term and long-term benefits. Since they're very specific, they allow you to rank highly in search results for popular topics relatively quickly while still gaining ground on head terms. Plus, they tend to attract highly qualified traffic that's more likely to convert to leads and customers. The chart below (also from HubSpot) graphically explains the concept and demonstrates why long-tail keywords will help you build a strong funnel. Marketers who have prioritized blogging are 13x more likely to enjoy positive ROI. One more option that can help build the top of your funnel is Pay-Per-Click advertising. Using your keyword strategy, you can build a PPC program to attract visitors to your site. Popular options for B2B marketers include LinkedIn ads and Google AdWords. These options can get expensive if not carefully managed. Learn more about PPC in this ebook from HubSpot. The first step in the buyer’s journey for your buyer personas is essentially the top of the funnel for you. Make sure you’re doing what you can to attract your prospects and build a stronger funnel.